We understand most HVAC companies aren’t as reliable as Reliant Air Conditioning and sometimes desperate times call for desperate measures, especially when your AC goes out in the middle of summer. 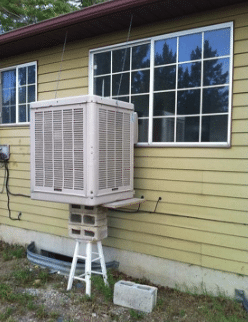 So we have compiled some of our favorite DIY air conditioning fails. …please just call us, we don’t want you to have to choose between food and cool air! They are going to need A LOT of ice and A LOT of fans. No words…we have no words. As creative as these DIY air conditioners are, leave it to the professionals. Seriously, keep the food in the freezer and the AC unit on the ground. At Reliant Air Conditioning, we’re proud of our 30 years of service and look forward to helping you with any air conditioner or heating system repair.We pride ourselves in providing quality sales, AC repair, and heating repair service at an affordable price.